Extraordinary, pristine landscapes. Scenery that takes your breath away. An exotic mix of plants and animals. Not the sort of places you get to visit every day — or can get to in a day. Those qualities define our kind of destination. We could rattle off plenty of spots that fill the bill: the timeless, silent fjords knifing into the southwestern coast of New Zealand's South Island; or the lakes of northern Kazakhstan on the Central Asian steppe, whose remote wetlands are home to the rare Siberian white crane and Dalmatian pelican; or Patagonia's rugged, forbidding, almost mystical Los Glaciares National Park, the world's largest mantle of ice outside Antarctica and one of the few places on earth where glaciers (it has 47) are advancing not retreating. Magnificent as each of these marvels of nature are in isolation, we wondered where we could get our fill. Which countries should go straight onto our bucket list? We set out to answer that question by reckoning the ten most stunningly beautiful countries to visit. To create our list we sought to go beyond just counting the number of areas of outstanding natural beauty each has — though we think the more the better. To get a measure of quality as well as quantity, we factored in how unspoiled the natural environment remained in each country, the diversity of its flora and fauna, and how well the country protected its beautiful places, both those on terra firma and those under its coastal waters. Our data sources included the United Nations Environment Program, the Yale-CIESN Environmental Performance Index, The International Union for Conservation of Nature, UNESCO, and the World Economic Forum. It came down to a close call between Australia and Brazil for the top spot. Both scored well on most of our measures. Australia can field world-class destinations like the Great Barrier Reef, the Gondwana Rainforests and the Blue Mountains. 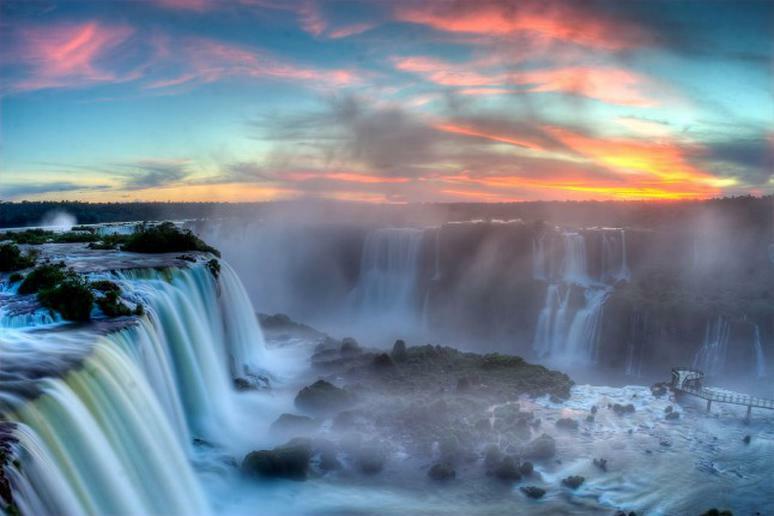 Brazil can counter with the Amazon, the Iguaçu waterfalls and its seabird-rich South Atlantic coastal islands. In the end the diversity of plant and animal life shaded it for Brazil (for which it can thank the Amazon basin), but by the narrowest of margins. Third was the U.S., thanks to its National Parks System. Nearly a quarter of America's national parks also make UNESCO's list of World Heritage sites for natural places, including Yellowstone and Grand Canyon, the two at the top of our latest ranking of America's Best National Parks. The U.S. also does a better job than most other countries in protecting the environment around its shores. Tanzania and China complete our top five. Tanzania packs a lot of game reserve into a land area that is only two-fifths larger than Texas, including the incomparable plains of the Serengeti — 6,000 square miles of savannah teeming with hordes of wildebeest, gazelles and zebras and their predators. Their annual search for new pasture and waters is the largest remaining unaltered animal migration in the world. Tanzania can also boast Africa's highest mountain, Kilimanjaro, whose forest slopes and savannah are a last refuge for many endangered species. 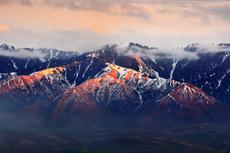 China, particularly in its less populated western reaches, has vast tracts of awe-inspiring remote landscape. In Xinjiang, the spectacular glacier-topped Tianshan mountains with their remote, deep and verdant river valleys sit cheek by jowl with the desolate Taklimakan Desert, one of the world's largest and highest arid wildernesses. China, with its Giant Panda sanctuaries in Sichuan and unworldly karst landscapes in Guangxi and Yunnan, would have ranked higher in our list, but its high levels of environmental degradation and pollution in the east pulled down its overall score. See our slideshow to learn which countries round out our top ten most stunningly beautiful places to visit, and to see pictures of some of the splendors that await the intrepid traveler.